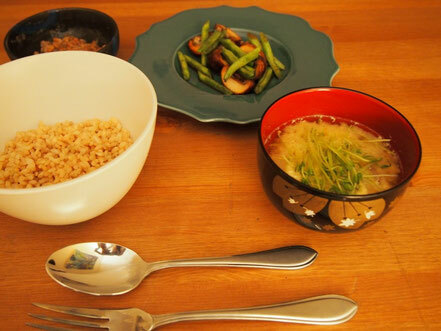 Making Japanese dinner for my self. Becase I got lovely bowl for soup(Thank you Yuka!). stomach was happy for stinky sticky beans.